When I went to the Melbourne Craft and Quilt Fair on Saturday, I quickly grabbed a handful of business cards to take with me. Then I placed them in a pocket loose :-(. Last night I was pinning and saw a tutorial from A Spoonful of Sugar (one of my favourite blogs !! http://www.aspoonfulofsugardesigns.com ). So today I went to my stash to try it out and here is the result. I have used riley blake fabrics range of “Andrea Victoria” as I love the purples in this. Yes I would have preferred purple clasps but only had navy or red on hand, but the outcome with the red look quite striking I feel. You can easily see the logo (shhhh! this is about to change, I’ve ordered ones with my new logo on them !). 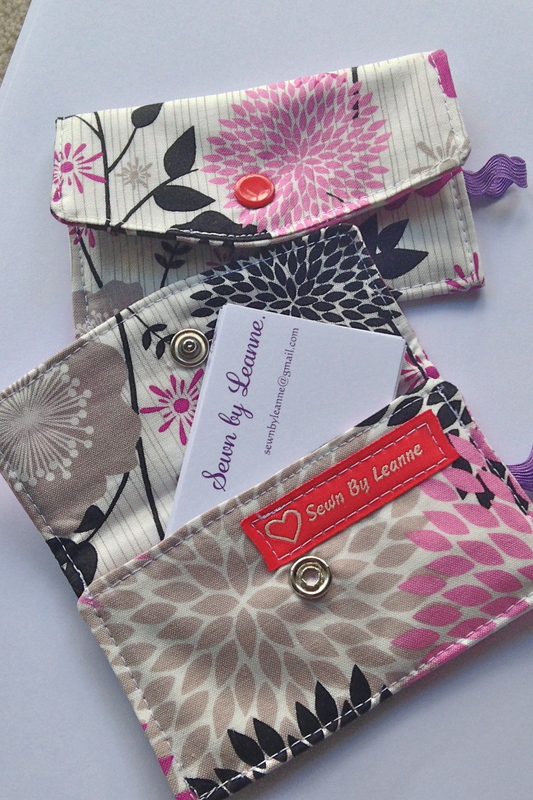 I was pleasantly surprised that it holds quite a few cards – about 30 comfortably ! I think I’m going to also find a piece of fabric that has my logo colours in it – orange, purple and blue to match my new ones coming. Very exciting !! This entry was posted in Sewing and tagged a spoonful of sugar, a spoonful of sugar designs, andrea victoria, business card wallet, business cards, business logo, Craft, fabric stash, fathers day, flannel, Handmade, handmade markets, Melbourne craft and Quilt Fair, organisation, purple, ribbon, ric-a-rac, riley blake fabric, Sewing, sewn by leanne. Bookmark the permalink. 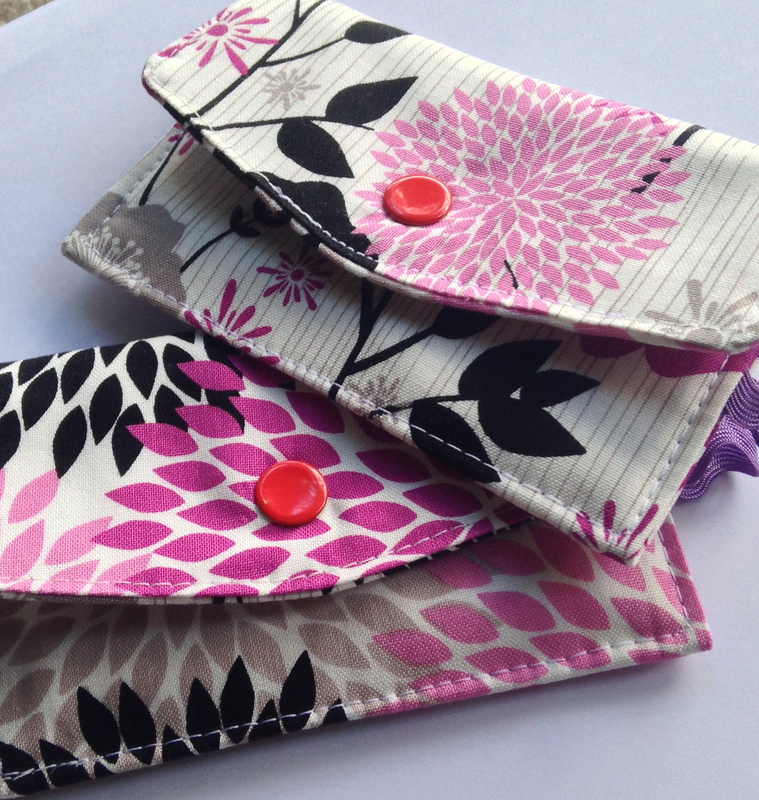 2 Responses to Selfish sewing today……..